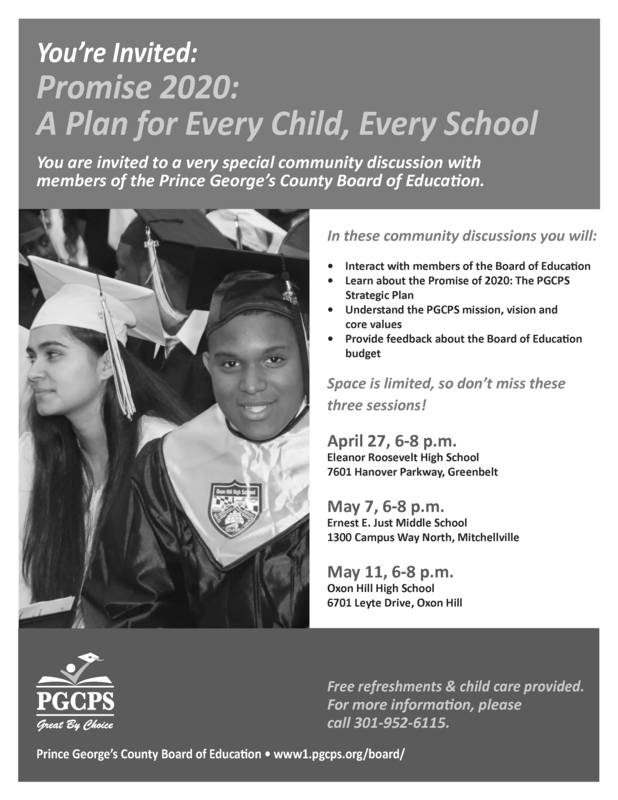 If you have questions and concerns about the Board of Education’s requested operating budget for FY 2016, consider attending either the May 7 or May 11 community discussion with the Board of Education. (For locations and more details, see the flyer.) I attended the first in the series of three meetings on April 27, and I was pleased with how worthwhile it turned out to be. At the end of the meeting, when he could not answer all of our questions about the FY 2016 budget, he called two senior staff members of the budget office to our table. Yes, that’s right. We were able to sit down with the interim CFO and the PGCPS budget director and actually ask questions about the budget and get answers. This was pure gold. Based on that conversation, I got the distinct impression that the budget office was striving to increase budget transparency. They are working on a new budget template for next year, one that should be easier to understand. That’s great news for those of us who have tried, and failed, to understand the ins and outs of the operating budget. This meeting was well worth my time. It helped answer some of my questions. It gave me a platform for some of my concerns. And it gave me a glimpse of what a responsive school system can look like.